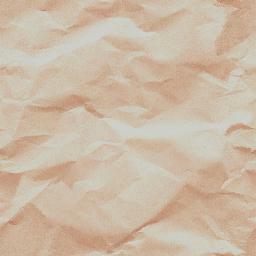 Please feel free to enter Web Land--an interactive html world. Current work includes development of the Production Based Specification (PBS) language as a tool for high level specification and synthesis. New methods for approximate traversals of finite state machines are also in progress, which can be useful for optimization of sequential circuits, including those specified with PBS. PBS describes the controller logic for sequential machines in terms of Regular Expressions (RE's). Currently, I am working on methods of reducing the size of the RE's generated from PBS code, and the size of the actual circuit diagram constructed from the RE. I am also working on implementing an inverted-edge bdd package with dynamic reordering. During the debugging of this package, we found that it was useful to have an x-windows routine to display bdd structure to the screen. Tony Stornetta and I developed an rpn boolean calculator , which makes use of this x-window display routine, and allows you to actually view a Binary Decision Diagram. See the page on homebrew for more information on the C++ implementation of the bdd package. C++ programming is great, not like the old days of programming. 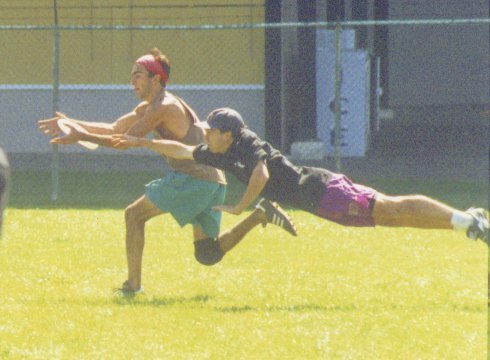 In my free time I play Ultimate . 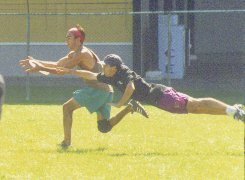 During the school year, I play with UCSB's Open Ultimate Team, the Black Tide. During the summer, I play with the Santa Barbara club team, the Condors. 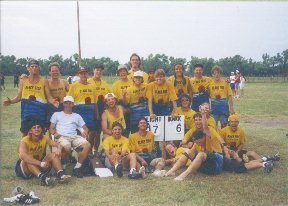 Although the membership changes year to year, the Santa Barbara Condors have existed longer than any other ultimate team in the country. That's me with both feet in the air.